When you're cleaning windows… Get that streak-free look! When you’re cleaning windows… Get that streak-free look! Comments Off on When you’re cleaning windows… Get that streak-free look! 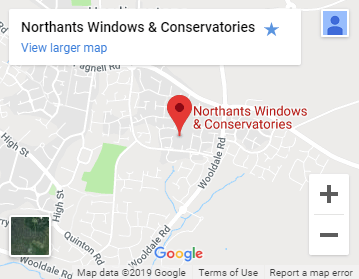 When it comes to cleaning your windows – be it giving your conservatory glass a new sheen or polishing up around the house – all know what it’s like to get those annoying streaks. So that’s why we’ve put together a fool-proof guide to getting those windows looks gorgeous, without spending all your time washing and wiping. The basic ingredients of cleaning your home windows are high quality cleaning agents, durable cleaning materials and – the appropriate method! You also may need help getting that streak-free look and sparking appearance. If possible, you should schedule your cleaning work when there is no direct sunlight on the windows. This helps in getting the best of results as sunlight dries up the cleaning liquid before it can soak the dirt deposited on the windows. Crack on the window-cleaning tunes… and let’s get going! Washer – for applying chemicals to the windows. You may need multiple sizes for different window sizes. Suitable sized bucket – for storing water and cleaning liquids. The length of the bucket should be such that you can dip the washer and soak it. Extension pole of suitable length – for reaching the highest window in your home. The pole should be fitted with squeeze handles to apply extra liquid coating while scrubbing. Towels and dry clothes – for wiping the windows dry. You may need 10 to 12 of them if you have large windows to clean in multiple rooms. Cleaning soap – required for taking out the hardened soil and dirt particles which may not get removed with the help of liquids. Vinegar, salt, baking soda, water, stain removers, anti infection agents and brightening agents. Start with the internal cleaning of windows. This can be done any time of day as you will be able to reach them from within your home. First use the dry cloth to remove the dust deposition. This helps to avoid scratches caused by dust particles. Wet the windows with water (and let it soak for about 2 to 3 minutes if you have time). Then you can apply the cleaning liquid and let it soak the window for another 2 minutes. Now wipe the window with scrub sleeve. Apply the soap on areas with hardened dirt. After soaking for about 10 minutes you can use the squeegee to wipe these parts dry. The squeegee wipes away most of the dirty water and cleaning solution leaving you with a window you can polish to perfection! If you have windows that near the ceilings use the extension pole. Keep squeezing the handle so that maximum liquid spreads over the cleaning surfaces. Apply the cleaning chemical and soak for about 2 minutes before wiping again with scrub sleeves. This will remove all the deep-seated stains. The most commonly used one is hydrogen peroxide or bleach. Mix it with water in the ratio of 1:4 in the cleaning bucket. You can carry the bucket around easily while moving in and out of your home. Once you are through with internal cleaning you can follow the similar procedure for cleaning the external windows surfaces. Upper floor windows may need the use of a ladder or you may be able to do some of the cleaning from inside the house leaning out of the window. Whichever method you choose, be careful – your safety is paramount to any clean windows! Finally, to get that streak-free look! Wipe all the windows with dry cloth after the cleaning procedure is complete – now this is the important bit – and ensure you polish in a circular motion to avoid streaks. Now, enjoy your finished, sparkling windows! Previous Post Tiled conservatory roof or glass: which is the best conservatory roof replacement option?